But there is another way of looking at it. Gold (and silver) now appear to be close to breaking down from Head-and-Shoulders tops, with this pattern shown on the same 8-month gold chart below. 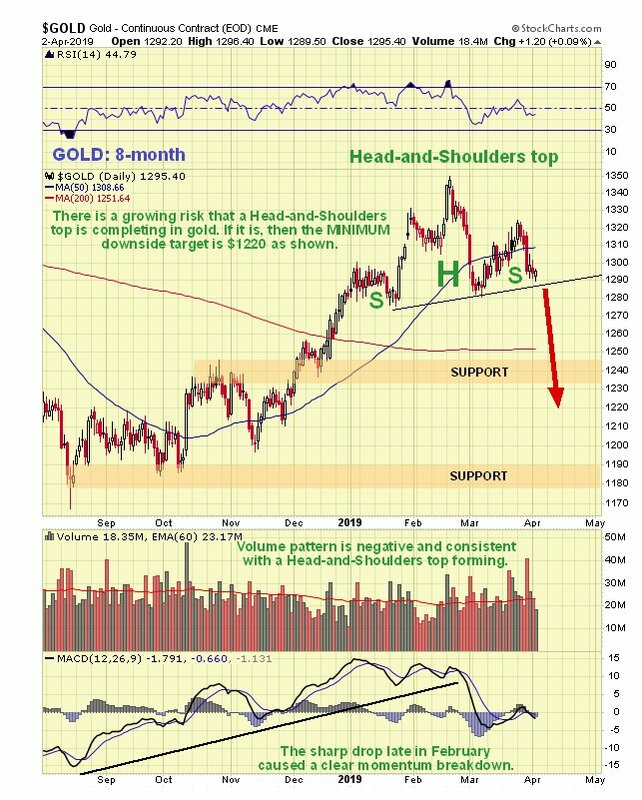 If a true H&S top is forming in gold, and the recently bearish volume pattern suggests that it is, then the minimum downside objective following a breakdown is a $70 drop from the neckline of the pattern, which gives us a target at about $1220. Such a drop will of course inflict further damage on PM stocks. 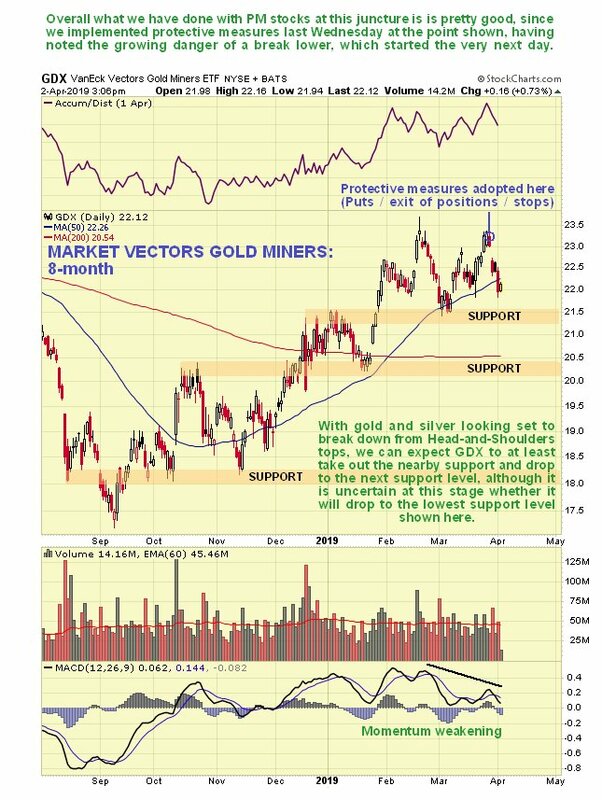 How much damage it is not so easy to say looking at the 8-month chart for GDX below, but it seems likely that it will crash the nearby support level shown and drop to the next support level in the $20 - $20.50 zone, and it is unclear at this stage if this support will hold or whether it will breach it and drop further towards the lowest support shown on this chart. 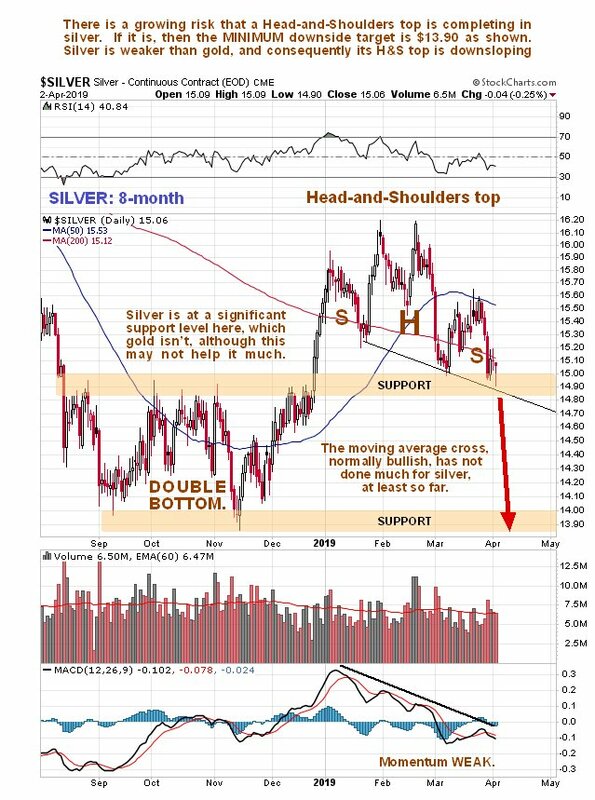 Silver’s chart remains weaker than gold’s, which is normal at this stage in the cycle, which explains why on its latest 8-month chart that a downsloping Head-and-Shoulders top has formed in it. 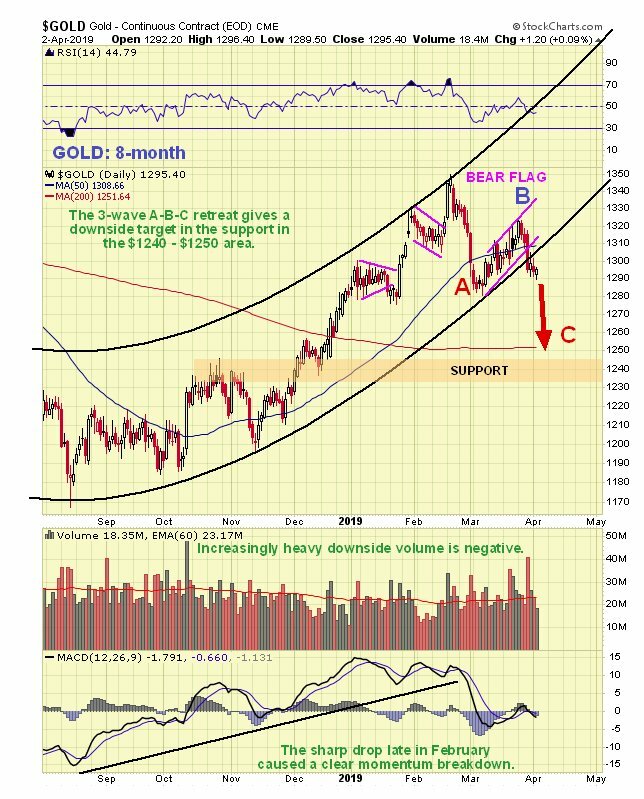 It is currently at a significant support level which gold isn’t, but that is unlikely to spare it further losses if gold drops as it looks like it is set to. Posted at 7.30 pm EDT on 2nd April 19.